I love Sea Scallops! 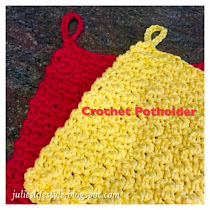 When I saw this recipe at our Cooking and Crafting with J & J, I was so excited to make them. Lucky Marilyn, from Marilyns Treats, her husband decided to make this dish for their dinner. I really liked how easy the directions looked to make the scallops for dinner. I never cooked them before and I was glad I did, as everyone loved them. The recipe calls for baking the sea scallops in the oven with just a few ingredients. 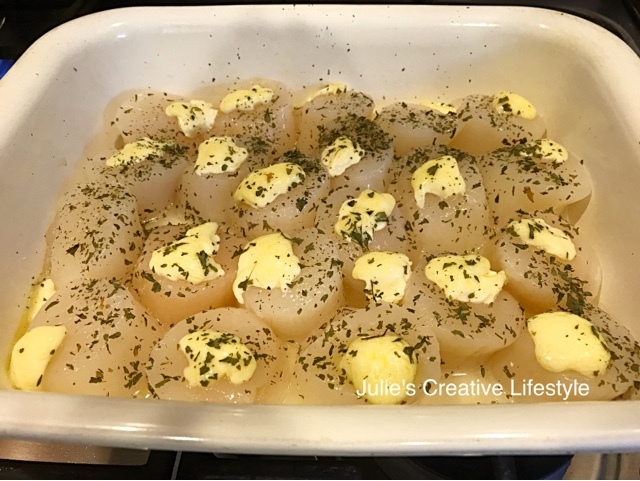 I bought 2 pounds of large sea scallops, and below you can see them in a lightly buttered baking dish. You just add butter and seasoning to the top of the sea scallops. Below you can see the sea scallops all done baking in the oven. When the butter melted, it made a nice juice for the sea scallops. 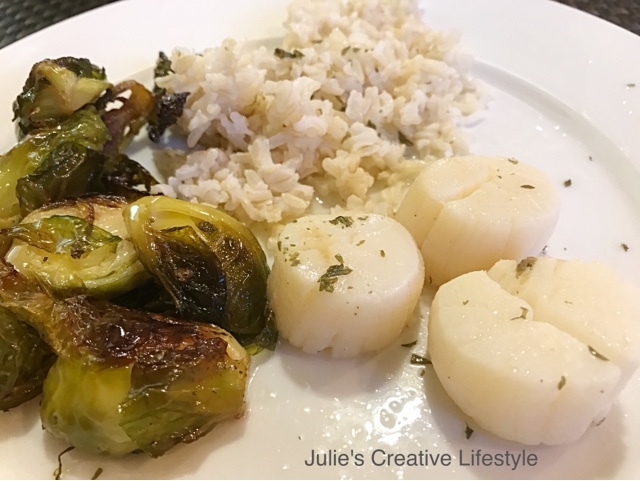 I served the baked sea scallops with brown rice and roasted Brussel sprouts. It's such a delicious and easy meal to make. 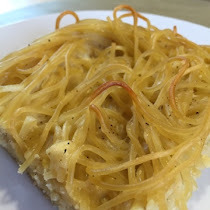 This dish can also be made anytime of year or for a special occasion. To make roasted Brussel Spouts you can see the recipe HERE. For the recipe to make Baked Sea Scallops, you can visit Marilyn Treats blog, and find the recipe HERE. Thanks Marilyn for this easy recipe and I will be making this again. 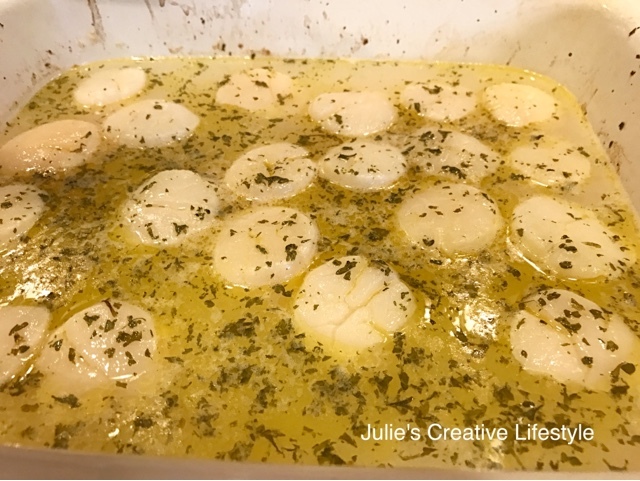 ** NOTE: Marilyn's recipe called for 2 pounds of sea scallops, but I will be using 1 1/2 pounds the next time, as my family is small. The recipe called for baking a total of 25 minutes, but I cooked mine for about 40 to 45 minutes. You just have to keep checking the scallops, to make sure they are done and don't get too dried out. If you like sea scallops, I hope you will enjoy making this dish for your dinner too. 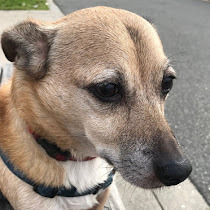 Thanks for stopping by, and enjoy the rest of the week and weekend. Jess and I will see you all back here on Monday for our Cooking and Crafting with J & J. Those look delicious, Julie. I've never tried baking scallops before. Thank you for sharing. I hope you're having a lovely fall so far! I had a friend that worked on a fishing boat and when he came in, we always had some fresh scallops. and I have never tried baking them either! When shopping today I will pick up some and give them a try! Wow, those look good...and easy! My kind of recipe. I love how you make things from your party. That's awesome! Wonderful recipes. My hubby loves scallops. I love shrimp. Happy Fall. 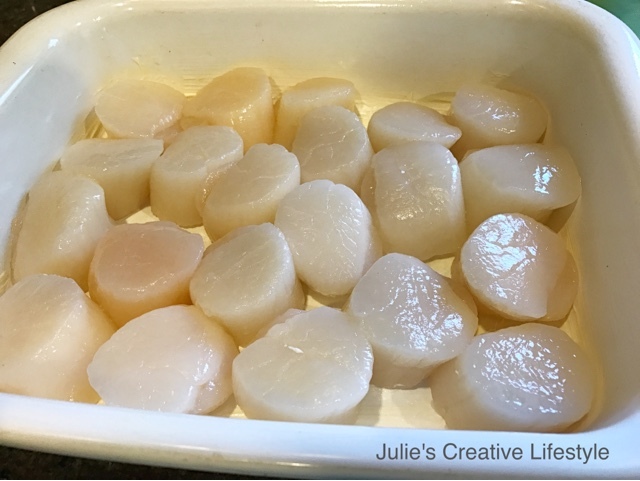 Oh Julie, I love scallops and these look wonderful. Now you have made me hungry. ps. 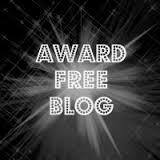 If you have the time pop by my blog for a little giveaway! 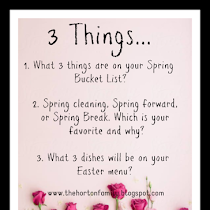 This does sound easy and looks good too! I am always hesitant to buy food, especially seafood, that I am not sure how to cook. These look like a no fail dinner to me! 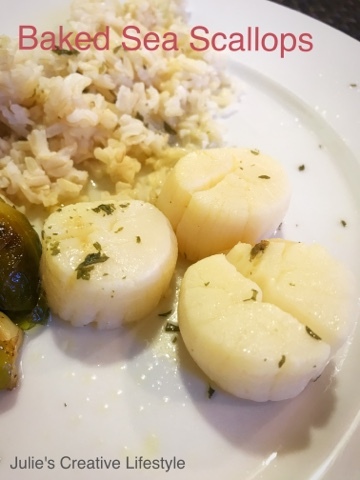 I just saw scallops on sale at our new Wegmans, but I never made them before. This looks easy enough for me to try! Pinned! 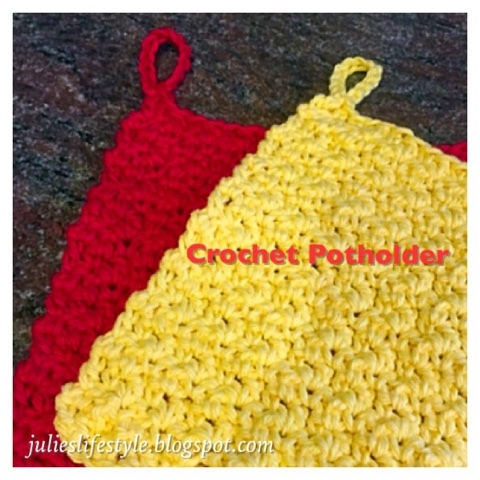 Thanks for sharing this recipe at Best of the Weekend, Julie! It does look easy to make. Bet my two oldest would really love it if I made these when they're home to visit! Well that looks easy and delicious. Fab! I've cooked scallops a couple of times, Julie, but this recipe is so easy! I will remember to do this the next time. Thank you for sharing! I also just saw the cute crocheted ghost on your sidebar...darling!!!!! It sounds delicious, and I'm pretty sure my kids would eat this. 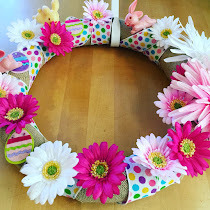 Thank you for joining The Really Crafty Link Party this week. Pinned! These look delicious Julie, I would love to try them :) Thanks for sharing at Creative Mondays :) Hope you can join us again soon.